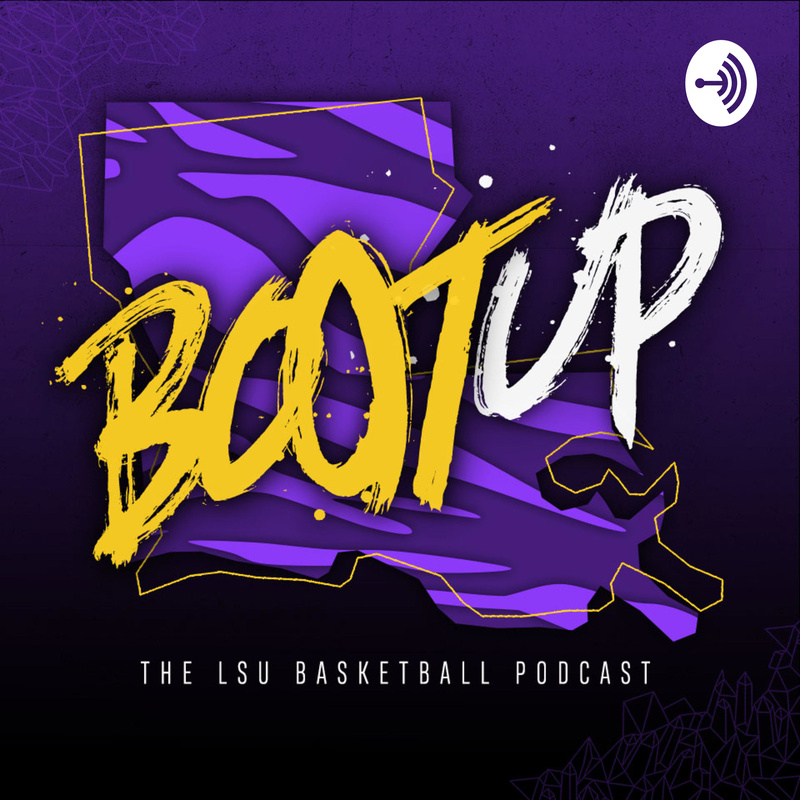 On today's episode of Boot Up, we break down LSU's 72-57 win over Texas A&M, Will Wade predicts the future, Tremont Waters makes a bunch of shots, including one imaginary one, and we gush about Skylar Mays. The nation's capital is swept up in the #BootUp movement. We start today's show with a quick sitdown with the most famous person to ever appear on the podcast. After that very serious conversation, we dive deep into Michigan State. We talk personnel, offensive and defensive tendencies, and maybe some areas LSU can try to take advantage of, as they prepare to face perhaps the best team they've faced all season. Ever been inside a locker room during March Madness? Here’s your chance. Hear from Tremont Waters on his game-winning shot, Skylar Mays on his clutch 3, and Darius Days on his big day off the bench. Plus, sounds from the celebration. And listeners in the Anchor app get a bonus song at the end of the episode. LSU tops Yale 79-74 for the program's first NCAA Tournament win in a decade, and we storm the locker room after to talk about all the relevant topics as the Tigers prepare to take their shot at the Sweet 16. - Skylar Mays on keeping the team connected- Tremont Waters on the emotions of his NCAA Tournament debut- Assistant coach Greg Heiar on game planning against the Bulldogs- Marlon Taylor on shutting down a future pro and the Ivy League Player of the Year- Heiar on flipping the page to the next opponent on just two days turnaroundLots of audio from postgame, and plenty of breakdown on how the Tigers started fast and finished not so fast to beat Yale. I also throw out a theory as to why the Tigers' shooting fell off from a torrid first half to a tepid second half. Share/subscribe/review/#BootUp. The NCAA Tournament is here, and LSU is set to take on Yale in the first batch of Thursday games. On today's show, we break down Yale's roster and how it matches up with LSU. We also talk to Kavell Bigby-Williams and Skylar Mays about their NCAA Tournament memories and what the Tigers need to fix after losing to Florida in the SEC Tournament. I'm in Jacksonville covering the team, so stay tuned for more updates from the tournament. Just the audio of my chat with Corey Vinson, William Harrell, and Mitchell Fillinger, three of the managers for the LSU Basketball team. We talk about the high demands of their jobs, the networking opportunities and lessons they've learned, and, of course, the all-important Manager Games, where they take on the managers from other schools throughout the season. Follow them on Twitter @LSUMBBManagers so you can vote to help them advance in the Manager Games, which begin this month. On today's episode, we recap LSU's 80-59 win over Vanderbilt and hear from Skylar Mays, Marshall Graves, and Tremont Waters on what it was like to cut down the nets and celebrate the Tigers' 11th ever SEC title. Graves, a former walk-on, hit four threes to help LSU clinch the title, while Mays and Waters assumed critical leadership roles during a roller coaster week of a roller coaster season. After that, I sit down with Corey Vinson, William Harrell, and Mitchell Fillinger, three of the managers for the LSU Basketball team. We talk about the high demands of their jobs, the networking opportunities and lessons they've learned, and, of course, the all-important Manager Games, where they take on the managers from other schools throughout the season. Follow them on Twitter @LSUMBBManagers so you can vote to help them advance in the Manager Games, which begin this month. Lots to talk about today. We recap LSU's 74-69 win over Alabama, talk about the return of Tremont Waters and the growth of Javonte Smart, and touch on Skylar Mays and Naz Reid's consistency and just how damn good this team has been in the final five minutes of games. We then preview Florida, the type of "gritty, grimy" team that Will Wade said earlier this season would end the Tigers' season. A win, and LSU plays for an SEC title on Saturday. Finally, we get to your mailbag questions, where we talk NCAA Tournament seeding, Achilles heels, Emmitt Williams, and more. Here's a link to the Eye on College Basketball podcast, which we excerpt from to discuss seeding. Naz Reid is a new man. The freshman forward arrived in Baton Rouge this summer 272 pounds and with a reputation for not having an elite motor. Months later, he's leading the team in rebounding, charges taken, and is the best second half player in the SEC.So much for not having a motor.We sat down with Naz for this week's episode (12:00) to talk about growing up in New Jersey, playing in Rucker Park, and how he transformed himself into a second half machine. Before that, we preview the road trip to Alabama with Will Wade and talk about how this team has become one of the best road teams in the country. Goosebumps. That's the prevailing memory I'll take away from LSU's 82-80 overtime win over Tennessee on Saturday.It wasn't the win, which set the Tigers back atop the SEC and put them back in control of their conference championship destiny.It was the atmosphere, the emotion, the awe of two great teams at their best, competitors engaged at the highest levels of performance despite seemingly insurmountable odds.We talk a little bit about that on today's show, before breaking down the nuances of the win: Javonte Smart's clutch showing, Skylar Mays' shotmaking, Darius Days' versatility, Kavell Bigby-Williams' quiet, consistent excellence, Marshall Graves' moment of magic, and Wayde Sims' ever-present spirit in what Will Wade called a total team win. We also talk about Wade's comments on his team's need to find consistency heading into Tuesday's crucial tilt with Texas A&M, and we finish with some words from Skylar Mays that you don't want to miss. The Voice of the Tigers, Chris Blair, joins today's episode of Boot Up. We talk big picture -- how LSU has improved throughout the season, where the turning points have been, and what's been key to their success -- as well as what Chris does to get ready for games and how he manages calling baseball and basketball this time of year. We also look back at the loss to Florida and Will Wade's prediction on how LSU's season will end, unless they make some fixes fast. Be sure to check out the video released on Twitter @LSUBasketball today to get fired up for Saturday's 11 a.m. tipoff. Buzzer beater alert! Buzzer beater alert!Kavell Bigby-Williams' last-second tip-in pushed LSU past No. 5 Kentucky in Rupp Arena on Tuesday night. We cobbled together a quick reaction podcast with audio from Will Wade's postgame press conference.Some topics touched on: - LSU's second half adjustments defensively- What the Tigers didn't change after halftime- Emmitt Williams rising to the occasion- Skylar Mays setting the tone- Wayde Sims watching from above #Forever44- Lots moreStay tuned for another episode later this week. On today's episode of Boot Up, we break down LSU's 83-78 win over Auburn and preview a huge road trip to Lexington. We talk about the Tigers using their brains to beat a sharpshooting Auburn squad, how Naz Reid works his tail off in practice and Skylar Mays works his tail off in the classroom, and why Will Wade thinks John Calipari is so underrated as a coach.